At this point, director David Mackenzie has eight feature films to his name, a BAFTA win and he snagged the Prize of the Guild of German Art House Cinemas at the Berlin International Film Festival two times, but he’s still looking to keep things fresh and shake up his process a bit. 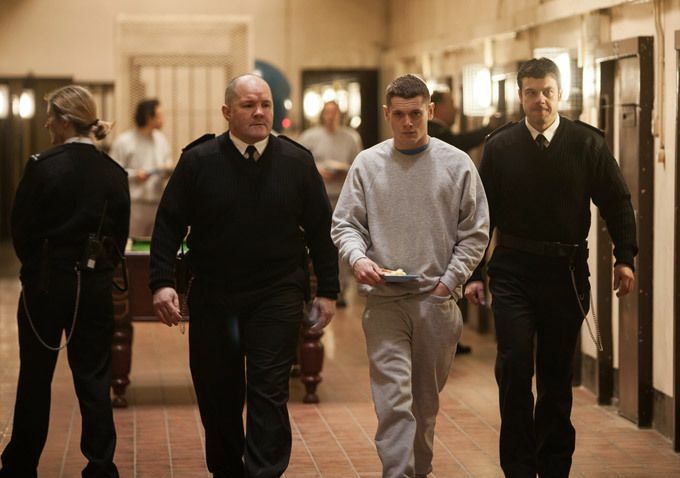 His latest film, Starred Up, features Jack O’Connell as Eric, an extremely violent 19-year-old kid who’s prematurely transferred to the same adult prison that his father’s in. 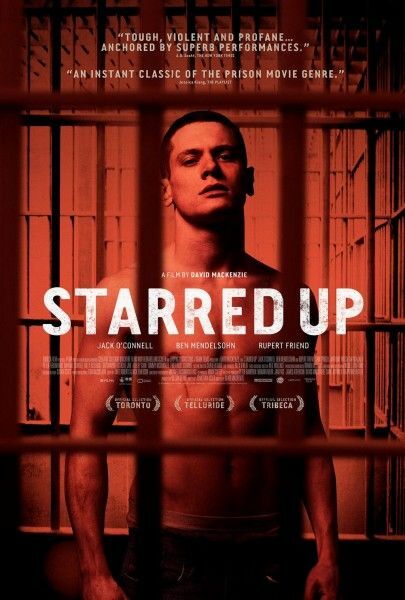 With Starred Up set to begin its limited theatrical run on August 27th in New York City, Mackenzie took the time to talk to us about some of the new methods he used while making it, namely shooting it in sequence and also filming the rehearsals, which didn’t just involve the cast, but the crew, too. Hit the jump for more on that, Mackenzie’s experience shooting in a former prison, casting O’Connell, having two editors working on the cut while he was in production and more. You can also click here to read about the Robert the Bruce movie he’s working on. 00:00 – Making a tough film that still has heart and soul to it. 00:32 – How he got the script and what made him want to take it on. 01:22 – The challenge of making Eric a likable character and bringing out the hope in his situation. 02:07 – How the script grew out of writer Jonathan Asser’s experience working in a prison; how authentic is it? 02:41 – Balancing the facts with the need to make the story cinematic. 03:31 – On the decision to not include an establishing shot of the prison. 04:16 – Shooting the entire movie in a real, formerly operational jail. 05:25 – Making select areas of the prison warmer and more appealing for downtime. 05:45 – On rehearsing with his cast and crew prior to principal photography, and shooting all of it. 07:37 – His preference for shooting rehearsals rather than doing read-throughs. 08:22 – Shooting the film in order and doing company moves within the prison location. 09:25 – On his hopes to shoot in order from now on. 09:40 – On having two editors on set during filming. 10:14 – Working with the two editors instead of just one during post-production. 11:28 – How having access to edited material affected Mackenzie’s work on set, specifically during the scenes with stunts. 12:51 – On casting O’Connell and what made him stand out.